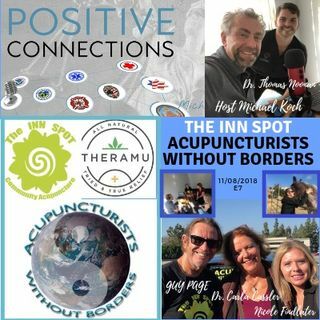 The Inn Spot: Guy Page and Acupuncturists Without Borders. Treating our Military and First Responders. Join Guy Page, Dr. Carla Cassler, Nicloe Findlater and Dr. Thomas Noonan discuss acupuncture and treating our military and first responders suffering from all types of issues including chronic pain. Nicole Findlater is the Director of Theramu, a natural solution for many issues including pain management. Theramu is a family run business and their products feature a proprietary blend of Emu Oil and CBD isolate working together to provide superior bioavailability.